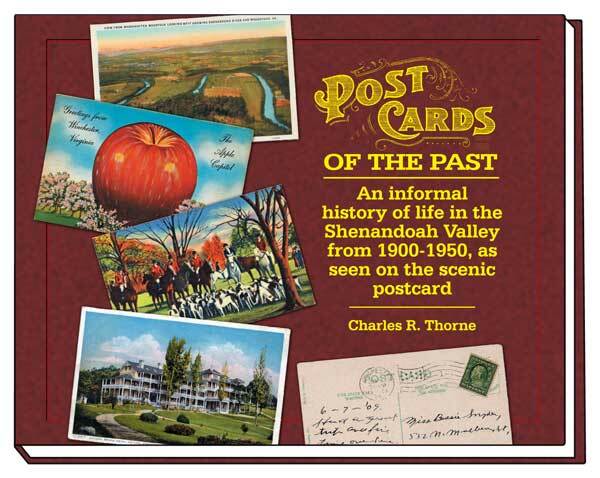 selling Postcards of the Past in the Shenandoah Valley. 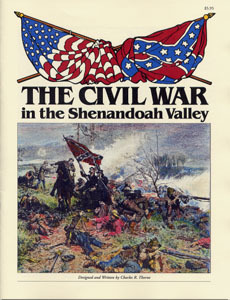 This full-color, 128-page hardbound book tells the story of the Shenandoah Valley from 1900-1950. 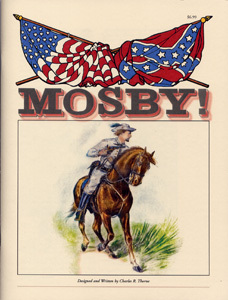 It is written in a light, entertaining style, and illustrated by 259 electronically restored postcards of the era. Been here part of the time, done some of this . . .
of folks who have been here before me and done the rest! Section I is a show-and-tell of how it was to live here during a tumultuous 50-years that brought more changes to the lives of average men and women than any other half-century in the history of the world. 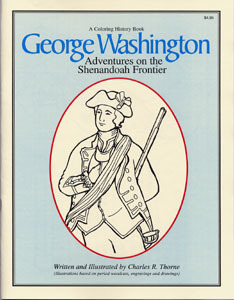 Section II is a tour up the Valley from Harpers Ferry to Natural Bridge. You will view the sights you would have seen traveling in either an early 1900’s stagecoach, a local passenger train, or bouncing along in one of those new fangled automobiles. Order now and receive free shipping in the U.S.
Identify image by page number and caption. Click the card above to see the entire line of Classic Cards! Classic Cards . . . 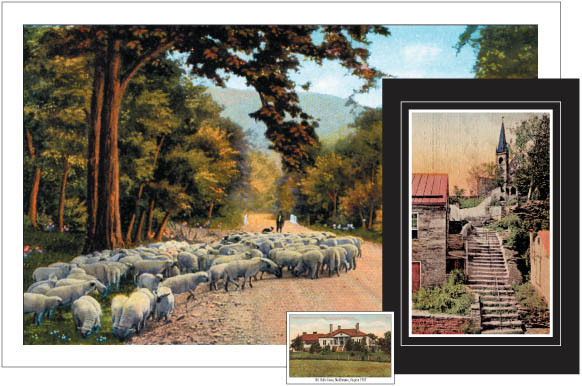 Antique postcards digitally restored and reprinted in modern 4x6 inch size. 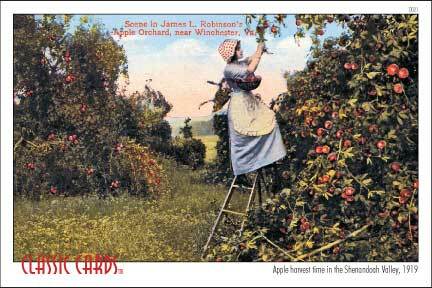 Presently we have over 80 reproduction cards available, with additional cards added at regular intervals. 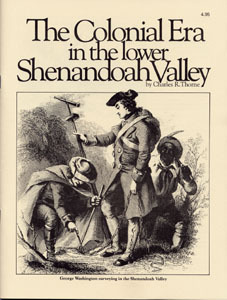 They depict Shenandoah Valley scenes from Harpers Ferry to Natural Bridge . Click the publication covers above to see our offerings! Blue Ridge and Allegheny Mountains.